I know it’s been a minute, but so much has been happening since my last post. I don’t know how bloggers do this on the regular! Sheeeeeesh!!!! Anyway, I’m here to tell you that I’m gonna be as constant as I can be. I plan to make a change here. Re-title this blog with a new focus on my experiences as a DJ. Baseball and beer are still a big part of my life so I will still feature them from time to time, but music is ever present and DJing is how I live my music! What I hope to establish with this re-boot of this blog is to shine a light on DJ life. DJs are under appreciated. I want to share the stories of my fellow DJs with people who think they know, but have no idea of the struggles of the keepers of the music. The stories will be non-fiction and run the gamut between funny and serious. I hope that in sharing these stories, people will have a better understanding as to why DJs do what they do and what being a DJ is really about. I am on a mission to become a resident of MLB’s Fan Cave 2012. Why, you ask? Quite simply, I love baseball and as a resident of MLB’s Fan Cave, I will have the opportunity to inhabit the cave for the entire Major League Baseball season (including the post-season) where I will be able to watch every single baseball game of the season (2,430 games in total). Can you say “Dream Come True” with me??? So, I’m not a contestant yet. I am in the application process right now. I figure I will post my progress here so you all can follow along with me (if you care to) up until the end of the post season (if I make it) or up until my rejection. If I had the opportunity, the Major League player I would most like to meet and interview is Derek Jeter. As I mentioned above, I was an introvert as a child, so it took me a while to learn the game of baseball. My primary instructor were the WPIX (Channel 11 in NYC) Yankee telecasts in the late 70s. Not only did I learn the game, but I also learned much about Yankee history from Phil Rizzuto, Bill White and Frank Messer, the Yankee announcers at that time. The Yankees have been my favorite team ever since. Derek Jeter is one of the all time great players in baseball. His talent and leadership on the field makes him the kind of player that you build a team around, but it is his baseball intellect that makes him intriguing. He plays the game with humility while playing for the betterment of the his team. That is how you win. For me, Derek Jeter is an inspiration. In interviews I’ve seen of the 5 time World Series Champ and future Hall Of Famer, he often cites his parents as major influences on his success, as the ones who instilled the discipline in him to succeed consistently on the level that he does. The gist of my interview with him would be “Who Is Derek Jeter? Without the influence of your parents. Without baseball. Who are you at your core?” The ideal setting for my interview with him would be outdoors (park or restaurant garden) with a big pitcher of lemonade between us. It would be a great conversation. Maybe one of the big baseball stories of 2012 would be The Yankees winning their 28th World Series and Jeter getting his 6th ring. If not in 2012, I do believe he will get his 6th ring before his current contract runs out. One potential big story in 2012 baseball season is the possible return to the postseason for The Los Angeles Angels since 2009. The Angels have made some significant improvements to their team. They’ve augmented their mediocre offense with the addition of, arguably, the best player in baseball, Albert Pujols. They’ve also boosted their starting rotation with the addition of C.J. Wilson, which gives them one of the most formidable starting rotations in the league which also includes 2011 Cy Young candidate Jered Weaver, Dan Haren and Ervin Santana. This new look Angels team can give the American League Champion Texas Rangers a run for their money in the AL West and quite possibly grab a playoff berth. It will be interesting to see how it all plays out. Keeping it in the AL West, another story to keep an eye on in the upcoming season is Yu Darvish’s success in the Major Leagues with The Texas Rangers. If The Rangers actually sign Darvish, he will be added to a starting rotation that has subtracted the aforementioned C.J. Wilson, but has rising stars Derek Holland and Colby Lewis among a handful of other potential starters, giving The Rangers a flexible rotation and overall pitching depth. However, the real story, as I said, is Darvish’s success. If he pitches in the Majors with the same level of success that he has in Japan, then The Rangers could have what they need to finally win The World Series. Probably the most interesting story to watch entering the 2012 baseball season is the possible addition of 2 wild card teams (one from each league) to the playoffs. As baseball figures out the best way to introduce the extra playoff games, the anticipation of more playoffs is pretty exciting. More teams getting a chance to get to get to The World Series makes it possible for to more baseball cities to enter the fray that is playoff madness! A big plus for the sport. We’ll see how it all comes together. The second part of the entry is Danny’s MLB Fan Cave Video Submission, featuring my pleas to be allowed entry to the cave. Please feel free to follow my progress and present any feedback. I appreciate all the support I can get. follow my progress on Twitter: @DannyBrookings and, if you know me and can testify to my love of baseball, please help me push a campaign on the MLB Fan Cave Twitter: @MLBFanCave. Thanks for reading. I look forward to sharing the experience with you all. Let the countdown to The MLB Fan Cave begin! Hello Again and Happy Holidays!!! Happy Holidays to all my readers! I know it’s not many of you at the moment, but the few of you that do exist, I appreciate you and thank you much for your support! My apologies for not posting much. So much has happened since I last posted here in October. As I progress, it gets harder to keep up. I really need an assistant. If anyone out there is interested in being my assistant, please let me know. There’s no pay, but there is potential and, if you like music, beer and America’s Pastime, there will be guaranteed fun times! let me know. Here is some music that will make great additions to your collection! The king of independent Soul continues his reign! Check out Eric Roberson’s “Mr. Nice Guy”! Lalah Hathaway releases her 8th album, “Where It All Begins”. There’s a cat named Allen Stone who is representing good music hard! A pleasant discovery! A few of nights ago while watching Letterman, this cat from Austin, TX named Gary Clark Jr. performed and left an impression. 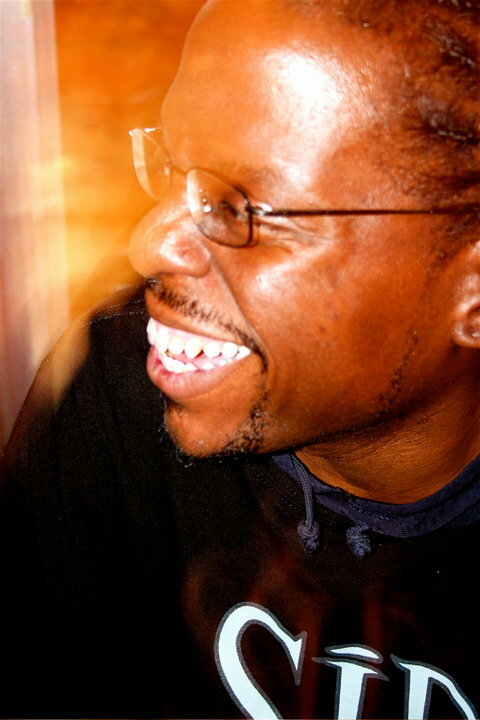 Mark de Clive-Lowe has a killer monthly event called “CHURCH”, which has residencies in both NYC and LA! You should attend! Get more info on the event and MdCL here! I had the honor and pleasure to play the Apollo in early December! My DJ set was the opener for a concert featuring indie Soul artists Kenny Wesley and Carmen Rodgers, two of the scenes finest artists. I implore you to explore their musical contributions. My set was recorded and is available to listen to or download here. As you know, I love beer. That love of the suds was elevated to a very personal level when I successfully completed my very first brew in late October! Beer making has always seemed to me to be the next logical step for a person like me who loves to drink beer so much. It was a fun experience and I look forward to learning more as I continue to hone my brewing skills. Many thanks to the people at Mr. Beer for creating an excellent starter kit for folks like me to learn the craft efficiently! ( I brewed the Cowboy Lager and it came out great!) Big thanks to my beer tasters/drinkers that enjoyed my end product with me: My wife, Arminda Thomas and friends Katie Piper, DJ BlackIcon1, Andre Francois, Jameka Whitten, Chuck Holiday, George Carmona and guest. We’ll be brewing again real soon! So, one day while perusing the local bodega’s (For those of you that are not familiar with New York City, a bodega is small neighborhood grocery store, very common in NYC.) selection of brews, I come across a bottle of Corona, the likes of which I’ve never seen. Simultaneously, I note the size and color of the bottle is way different that your common Corona. (32oz. and brown, respectively.) 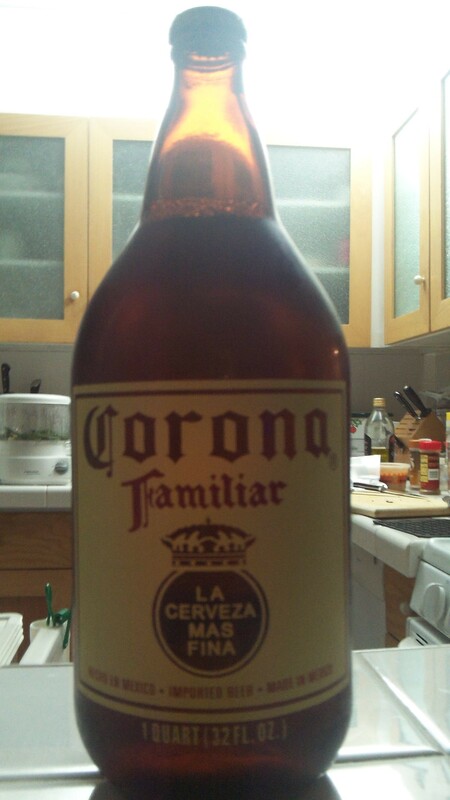 Closer inspection revealed the word “Familiar” under the Corona brand. My curiosity had been piqued and I decided I will see what this unfamiliar (I don’t care if the bottle says differently) Corona is all about. I get the bottle home, pop the top, pour a glass and take a sip. Imagine my surprise when I discover the fuller body and bolder flavored taste! This is not your local bar’s Corona, no sir! If you see it wherever you buy your beer, I highly recommend you give it a try! New Brewery Alert: I need to mention the good people at The Bronx Brewery (Chris Gallant & Damien Brown), a new craft brewery based in The South Bronx! The Bronx Brewery is one of a number of breweries that is representing beer in NYC with a strong product. Their Bronx Pale Ale is picking up steam and becoming available in more and more places in the NYC regional area. They are deserving of some support from beer lovers everywhere! Check them out! MLB has agreed on a new CBA, projected to give Major League Baseball another 5 years of peace. A couple of changes to look forward to are The Houston Astros moving from the National League Central to the American League West in 2013 and an extra round of playoffs, due to adding 2 more wild card teams (one from each league), possibly starting as soon as the 2012 postseason. These changes should be interesting. Any thoughts? Albert Pujols has left The St. Louis Cardinals after 11 years and is now a member of The Los Angeles Angels. 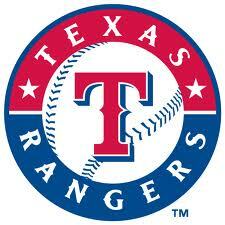 The Angels also signed former Texas Rangers ace, C.J. Wilson. Are The Angels once again contenders? Both The Marlins (now The Miami Marlins) and The Washington Nationals have upgraded their teams. The Marlins with the addition of SS Jose Reyes and closer Heath Bell and The Nationals with the addition of starting pitcher Gio Gonzalez, making The National League East a significantly tougher division. Not good news for the Mets. Where do you see the Mets finishing in their division? As of this writing, neither the Yankees nor The Red Sox have made any major moves on the field. The Red Sox have acquired Bobby Valentine as their new manager. Any thoughts on The Yankee/Red Sox rivalry in 2012? Where do you think each team will place in their division? Top free agent, 1B Prince Fielder, is still unsigned as of this writing. Where do you thing he will land? That’s all for now. I will do better at posting more regularly in the new year. Stay connected and enjoy the holidays! The 2011 World Series between The Texas Rangers and The St. Louis Cardinals starts Wednesday and though my beloved Yankees are not participants this year, I am interested in watching. The Cardinals were about 10 games out of the wild card race, behind The Atlanta Braves, before putting on a spectacular run of wins to gain a play-off spot. In the play-offs the managed to upset the National League favorite, NL East Champion Philadelphia Phillies in the National League Division Series and go on to beat the National League Central Champ, Milwaukee Brewers in The National League Championship Series in 6 games. In the junior circuit, The Texas Rangers (favored to win it all by most baseball analysts and sports writers) did as was expected of them and took out The Tampa Bay Rays and The Detroit Tigers in The American League Division Series and The American League Championship Series, respectively. Why I’m interested? First off, no one expected The Cardinals to make it this far and with the run they are on, they seem really hard to beat right now. Although they are the NL wild card representative, they have home field advantage (Thanks to The Brewers’ Prince Fielder’s home run that helped the National league win the 2011 all-Star Game. For the record, I hate the fact that home field advantage is determined by winning the All-Star Game, but what can I do. ), which may give them a slight edge during The World Series. However, I feel the biggest advantage The Cardinals have is Tony La Russa, who has out manged the other managers he has faced thus far and has much more experience as a team manager than his counterpart (He is the longest tenured manager in Major League Baseball.). 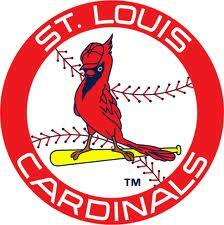 I believe it’ll be a World Series worth watching, going all seven games with The St. Louis Cardinals taking it all. Baseball fans, what do you think? My wife plays the banjo. She is also an African-American. The combination of being African-American, female and a banjo player is rarer than snow on a hot summer’s day in New York City. Imagine my surprise when my wife informed me that she is not the only black, female banjo player in the world! She put me onto a band called The Carolina Chocolate Drops, an African-American string band, formed in North Carolina (Do yourself the pleasure of checking them out!) Lo and behold, one of the members of CCD is an African-American woman named Rhiannon Giddens, who plays the banjo…among other amazing talents! So my wife buys tickets to see Rhiannon perform at Joe’s Pub in NYC, not with The Carolina Chocolate Drops, but with someone named Sxip Shirey. (Not a misspelling.) So I, being a tad bit confused, ask her about Sxip and she informs me that he is a founding member of a band called Luminescent Orchestrii, a band with a style that I cannot quite describe, but definitely dig! (Check him out as well!) It turns out that the Carolina Chocolate Drops and Luminescent Orchesrii collaborated on a project together. The collaboration continues between Rhiannon and Sxip as they share their uniquely wonderful sound with their fans and curious music seekers. My wife and I make our way to Joe’s Pub on Thursday (Oct.13th) to check out the show and find out it’s their first performance as this new joint venture and they were awesome! Although Rhiannon didn’t play banjo in this show, she showed off her other talents. She got down on some fiddle, but her voice was indeed the talent she displayed the most, singing her heart out throughout the show and even showcased some vocal gymnastics between her and beatboxer, Adam Matta. Meanwhile, Sxip entertains the audience by demonstrating that anything can be turned into an instrument and proved that premise effectively. (besides guitar and harmonicas, Sxip performed with a chorus of bicycle bells, a bullhorn and many other unconventional music makers.) Check out videos of their version of Bill Withers and Grover Washington Jr.’s “Just The Two Of Us” and the above mentioned duet between Rhiannon and Adam Matta on MIHE TV. After the show, my wife caught up with the bass player who she knows from the roots music scene. She didn’t get the opportunity to chop it up with Rhiannon and discuss banjo, as she was surrounded by many admirers who wanted to praise her for such a great show. Maybe another time. Our night concluded with a long train ride home. I am a Hip-Hop baby, meaning I actually remember a time when there was no such thing as Hip-Hop (at least not in a way that was understandable by the masses. ), so when rap music started getting pressed up and sold in stores, it was a big deal to me and many supporters of the Hip-Hop culture. In the early days of making Hip-Hop records, before sampling came into play, the music was laid down by bands that would got to the studio and approximate the hot “disco breaks” of the time. No one thought of having the DJ bring his set to the studio, to back the rapper the way it was done in the streets. If they did think of it, they were probably discouraged by the mechanical fees they would have had to pay to the labels that owned the rights to the songs that the DJs were cutting up. Without the element of the DJ, early Hip-Hop records sounded more like the disco and R&B of the time than it did the music inspired by the streets. One of the bands playing behind rappers was Orange Krush. Orange Krush consisted of Russell Simmons, Larry Smith, Trevor Gale and Kurtis Blow (who was primarily the rapper they backed). Vocalist, Alyson Williams was also a member. Orange Krush released a song called “Action”, which was an Urban Radio hit in 1982. “Action”, though unknown at the time, was about to change the sound of Hip-Hop Music forever. Though my focus is on the music, I music mention that Run DMC also changed the game with their style of rap, a more aggressive approach than other MCs of that era. 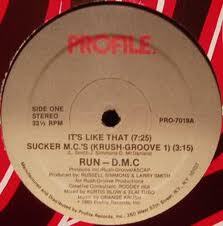 Music journalist, Peter Shapiro noted, “Sucker MCs” “completely changed hip-hop […] rendering everything that preceded it distinctly old school with one fell swoop.” Indeed. 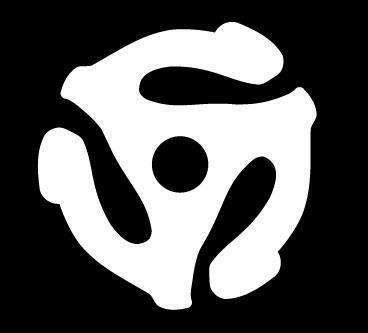 My memory of first hearing “Sucker MC’s” played on the radio, an underground Hip-Hop station, is enhanced by the DJ having played it 2 times in a row, saying after the first time, “I don’t think y’all understand what you just heard, so I’m gonna play it again.” Well, I think we understand now. Now Sip doesn’t have what you would call a very diverse beer menu, but they do have one of the best beer drinking atmospheres in the Harlem area. Their selection is pedestrian at best, but there are a couple of highlights. 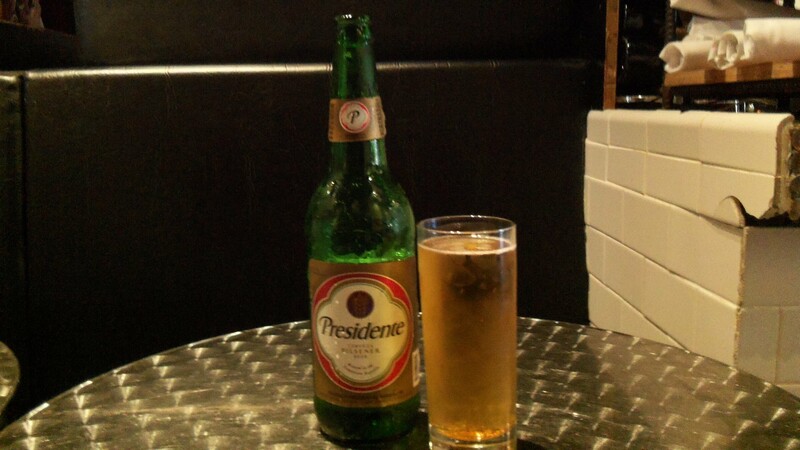 First is the Dominican beer, Presidente, easily my favorite beer at Sip. 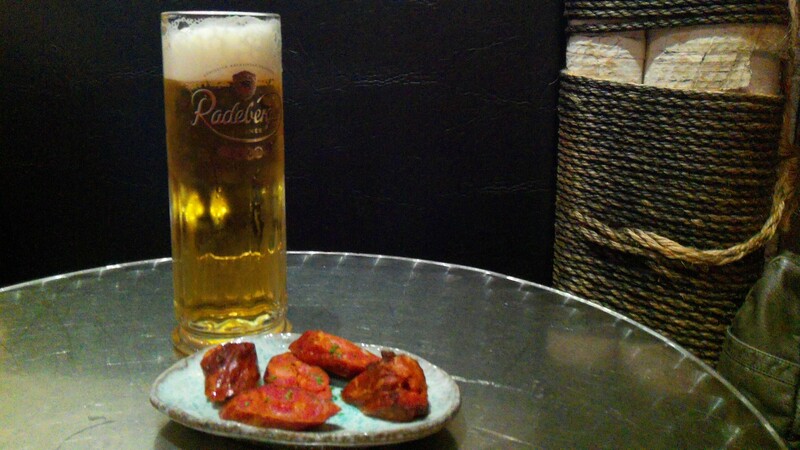 It’s a tasty, crisp lager that’s light going down. Sip is one of the few bars that sell this beer in the area, but what makes the beer a highlight (Besides being a good beer and rare in the area drinking holes.) is the fact that Sip sells Presidente in 22oz. bottles! (Pictured) Yes, the deuce-deuce size makes Presidente the big boy on the block as well as adds character to the drinking atmosphere that Sip is known for. Corona, Amstel Light, Heineken, Coors Light (bottles), O’hara’s Stout, Woodchuck Cider and a rotating guest beer, which is currently Weihenstephan Wheat beer (drafts) round out the suds choices at Sip. Happy Hour at Sip is 5pm-7pm and 2am-4am everyday! All beer is $2 cheaper than the regular price. Sip is also one of the best places in the city to listen to a wide range of music! there are DJs most nights and like I said earlier, I’m there every Sunday (and Tuesday) spinning tunes, so stop by and have a beer or 2 with me! Last Sunday, I played a tune that, musically, represents the Sip vibe nicely…”Everything Your Heart Desires” by Hall & Oates. I’ve included The video in this post for your listening and viewing pleasure. Enjoy! Hello, I am Danny Brookings to some. DJ DAN C.E. to others. Lover of music, brew and 9 innings to those who know me. For those of you who don’t, but have similar interests, welcome to my world. I hope you enjoy your stay here. So here’s what this blog is about. It is a platform for me to talk about some of my favorite things and engage in friendly interaction with like minded folks. To help you decide whether you would like to this blog regularly, I will elaborate on my position on beats, beer and baseball. I have been a DJ for most of my life. Needless to say, I love music.My favorite genres are Soul and Hip-Hop, so expect most of the music I write about to reflect that fact. However I am a fan of music, so I will talk about anything that moves regardless of the genre. Besides the occasional review of music that I like (I do not plan on writing extensively on music I do not like), expect to see some video clips of performances, videos, pics and track postings. I also work with a number of independent artists, so you will, at times get to hear music that you never heard before. I will also be starting a mixtape series, featuring exclusive mixes by me, that will only be available here. So if you like the stuff I do, stay connected! 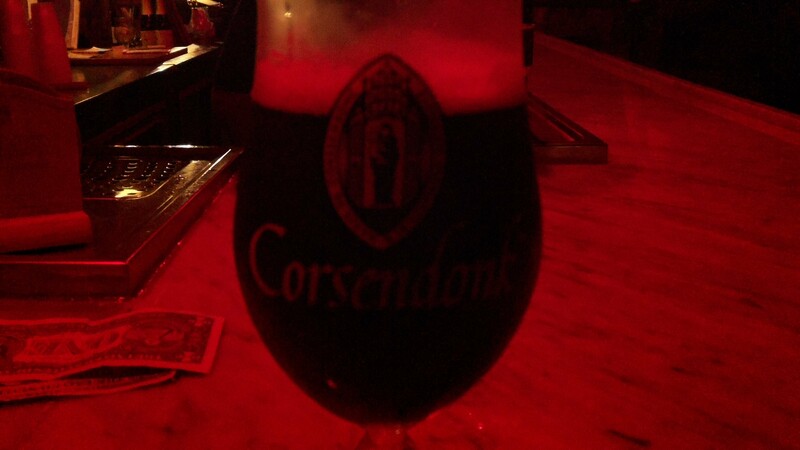 I started drinking beer as a teenager and by the time I reached my mid 20s, I developed a real fondness for it. That fondness was supported by the boom of the craft beer industry, so I’m sure I’m not the only one who shares this fondness. This blog will be used by me to tell you of beers that I like (again, won’t talk much about what I don’t like. ), events featuring beer tastings and other things regarding the beer drinking and beer making community. Fellow beer drinkers, stay connected. I plan on arranging some group outings to local breweries as well! I’m a Yankee fan. Have been since I was a kid. So, expect me to rant about the Yanks from time to time. However, I am a fan of baseball first and as such, I don’t mind baseball discussions on this blog. You don’t have to be a Yankee fan to comment. All baseball fans are welcome (yes, even Red Sox and Mets fans). I only ask that you keep it respectful.I hope to arrange some trips to games or even gatherings at local bars (with beer pouring and a jukebox playing!) next Baseball season. Besides the above, this blog will also be an outlet for some of the events I have through a small marketing and promotions company I co-own called Make It Happen Entertainment. Most of our events will have something to do with music and I’m pretty sure beer will be available. Baseball…maybe not, but you never know. Anyway, I hope you keep up with me as I keep you posted on my journey through life via beat, beer and baseball. ‘Til next time.